Contemporary clean lines and a solid steel chrome frame encase the 78” chrome back bar shelving with white acrylic. Featuring open shelving for easy to access storage, the 6.5 ft chrome back bar shelf can also be rigged with LED lighting (not included and not sold through NES) for modern, lighted accents. 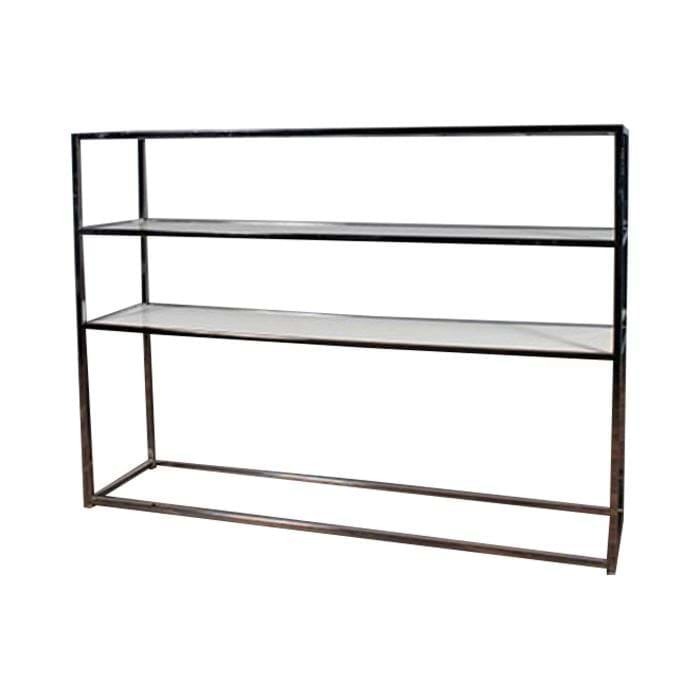 Perfect for setting up bar displays of premium liquors and bar glassware.